Get ready for those summertime weekend projects – Sherwin Williams has their paint, stain and wallpaper on sale! 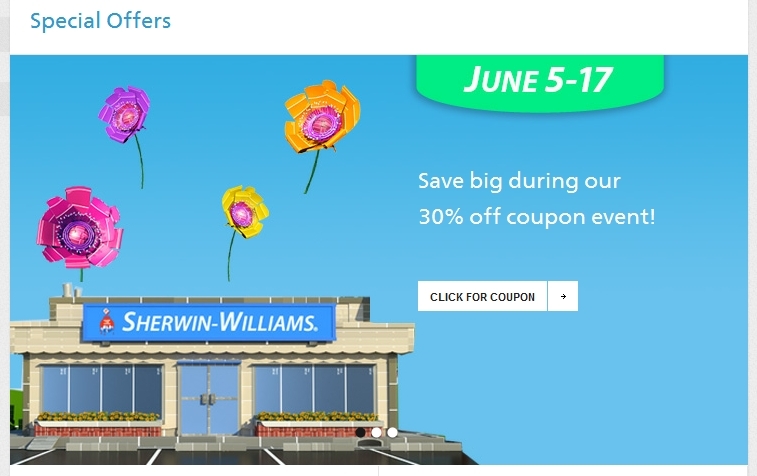 From now until June 17, 2012, you can save 30% on paints and stains, as well as 15% off painting supplies and 15% off HGTV Home Wallpaper – just print the coupon found at the link, or check your Sunday paper for a coupon. Also going on now through July 8, 2012, save on exterior stains. 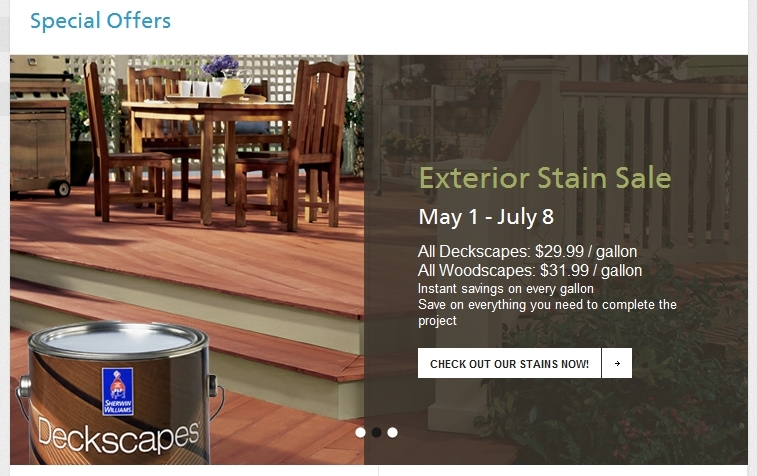 Deckscapes Stains are $29.99/gallon, while Woodscapes Stains are $31.99/gallon. No coupon required. In the past, they have offered as much as 40% off paint, but this is still a great deal if you have a project in your immediate future. Happy painting!